If the cloud is not on your roadmap, it should be. While server sales are falling flat, the cloud market is booming. In fact, Gartner predicts that the worldwide public cloud market alone will grow 17.2 percent in 2016 to $208.6 billion, up from $178 billion in 2015. Of that, the highest growth will come from infrastructure-as-a-service (IaaS), with the firm estimating a jump in sales of 42.8 percent in 2016. Software-as-a-service (SaaS) is also expected to grow significantly in 2016 - at a rate of 21.7 percent - to reach $38.9 billion. With these staggering projections, as well as the fact that Amazon AWS reported 2015 sales of $7.88 billion in 2015, cloud is something no business can afford to ignore. 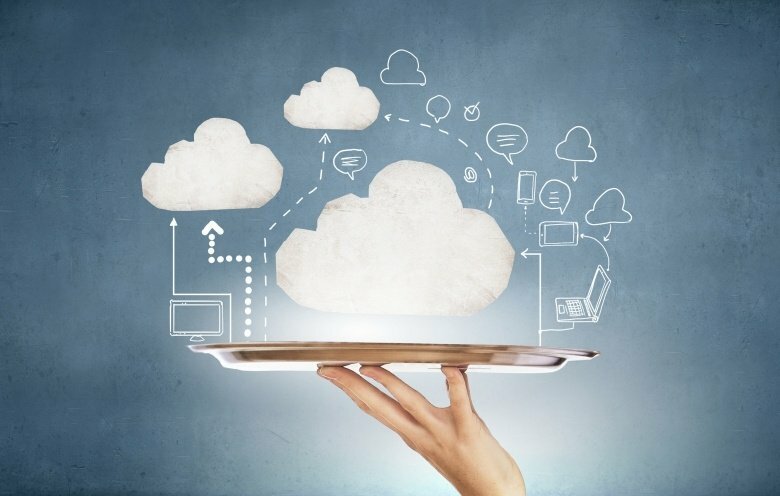 What's driving cloud adoption anyway? While technologies like virtualization and data center automation undoubtedly help businesses run more efficiently, these are difficult to deploy and manage in an on-premises environment. Besides, if you try to do it in-house, you would still need to make a significant up-front investment in the infrastructure to support these complex IT environments, not to mention the people that are qualified to run it all effectively. Mobility is a key driver as well, as employees are increasingly demanding to work from whatever device they choose and from wherever they are on the network, and customers expect instant access to products and services from whatever channel they choose. As the Internet-of Things (IoT) continues to gain momentum, managing connected devices and the massive amount of data that is generated also creates many challenges for your business. Finally, securing these hyper-connected, automated and distributed ecosystems is most likely the biggest thing that is keeping your management team up at night. All of these drivers require a centralized, automated and secure IT environment, which is, at its core, what the cloud provides. Eliminated capital expenditure: Cloud providers own all of the infrastructure that you need to run your business, so you don't have to invest in expensive servers, storage or networking hardware to run a dynamic, software-defined data center. Scalability and elasticity: With cloud services, you can scale resources up and down as needed rather than having idle machines that are being under-utilized. In the retail market, for example, this is extremely useful during peak holiday seasons. Cloud providers also operate highly redundant infrastructure with automation that can move workloads to different infrastructure if it being over-utilized. Shared services: Cloud providers can provide you with lower overall costs by using shared physical infrastructure running virtualized workloads and storage rather than dedicated boxes. Metered usage: In the cloud, you only pay for the resources you actually use, thereby reducing costs significantly. In addition, this pricing model and detailed usage reports makes it clearer to the CFO how IT is affecting the overall budget. Business strategy: When offloading the often mundane tasks of running IT infrastructure to the cloud, you can focus on your core business strategy and ongoing innovation to achieve maximum profitability. Service catalog: As your resource or application needs change, you can simply order those through an online catalog, in the same simple way that you order apps on your smart phone. Security and compliance: Though many are wary of moving their sensitive corporate data to the cloud because of concerns about security and regulatory compliance, the fact is that cloud providers are more than likely better equipped at providing these critical services than you. Plus, they are bound by strict SLAs to do so. While the benefits of the cloud are clear, particularly for small- to mid-sized businesses that don't have the resources that large enterprises have to build private clouds, migration can be difficult and costly. To get there, you must do detailed due diligence if you want to achieve the best ROI. First, you must get a clear idea of what services are actually available. Today there are five main layers to consider, including: infrastructure-as-a-service (IaaS), platform-as-a-service (PaaS), software-as-a-service (SaaS), information-as-a-service (IaaS), and business process-as-a-service (BPaaS). Generally, most companies start with IaaS as it is the most mature cloud offering. Moving test and development environments to a PaaS platform is also a great place to start as any issues you might have won't affect production workloads and disrupt business continuity. Next, you should decide which applications you want to move to the cloud, starting with ones that are tried and true, including email, productivity and CRM applications. To get a good idea of what additional applications and services are available and have on-demand access to those, you should work with a cloud service broker, as well. All of these decisions should be based on a thorough cost/benefit analysis, ideally with the help of an experienced IT consultant in your particular vertical. Finally, as security is absolutely critical to businesses of any size, you must work together with your IT consultant to understand exactly what cloud service provider's capabilities are, how those will meet the specific needs of your organization and how you can stay on top of the ever-changing threat landscape. There's no question cloud is here to stay. In fact, Gartner says that by 2020, a corporate "no-cloud" policy will be about as rare as a "no-internet" policy. While the benefits are clear, getting there can be difficult, and if the migration is not done carefully, it can actually end up being very expensive. By working with an IT consultant with cloud expertise to make the transition based on careful due diligence and thorough cost/benefit analysis, you can avoid the potentially high cost of cloud migration and start achieving cost savings and operational efficiencies right away.